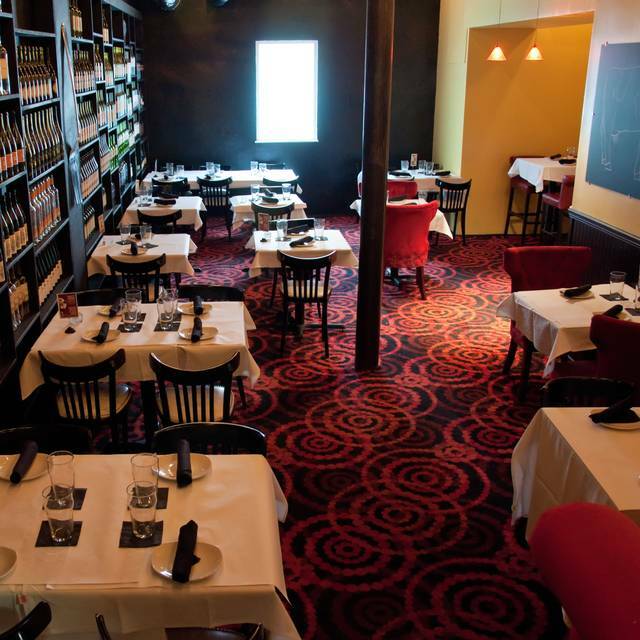 You must make reservations at least 5 minutes in advance of the time at Cheesetique - Del Ray. 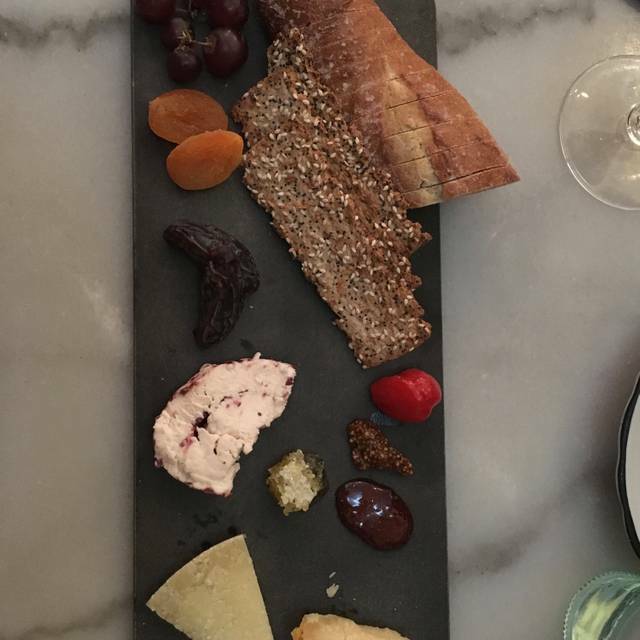 Cheese board was excellent. Ordered steak and it was very chewy/lots of fat - not that good. We sat outside on a pretty day which was very nice. Service was slow, and we were there at 5:30 p.m. for dinner. Not a time I would expect to be there rush time on a weekday. We waited a very long time for food and then 20 minutes for the check after requesting it. However, waitress was very nice and attentive when we she did come to our table. 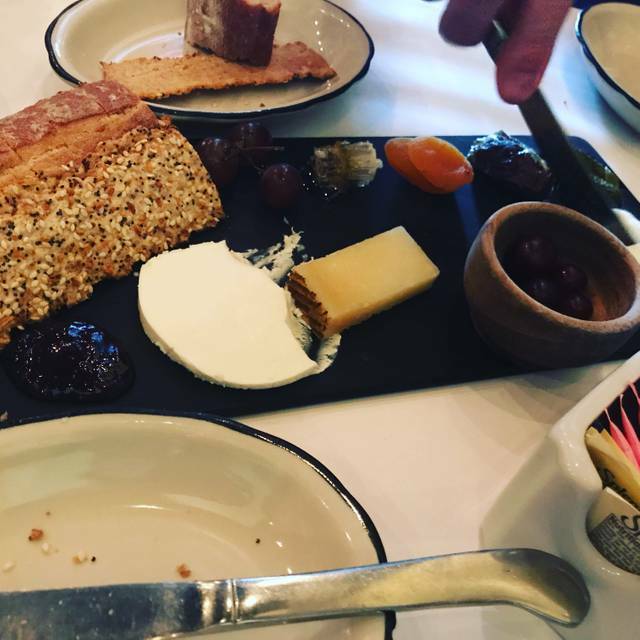 I would go back just for the cheese board and a salad. I would not order steak there again. 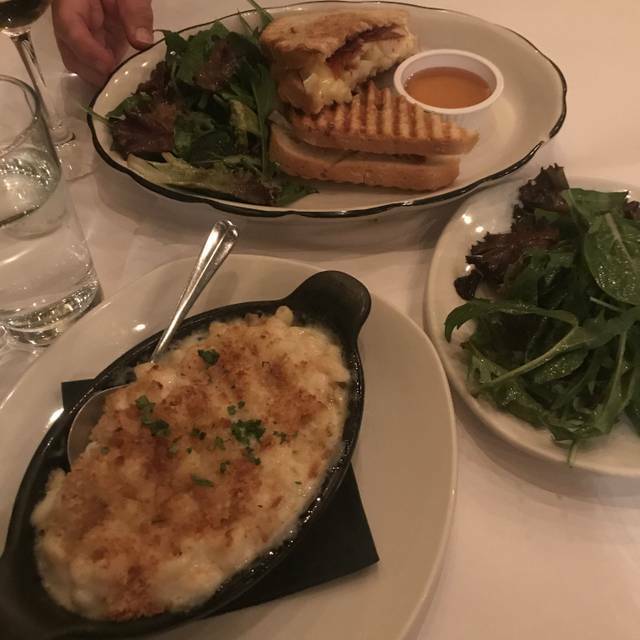 I live in Del Ray and always recommend Cheesetique to friends. 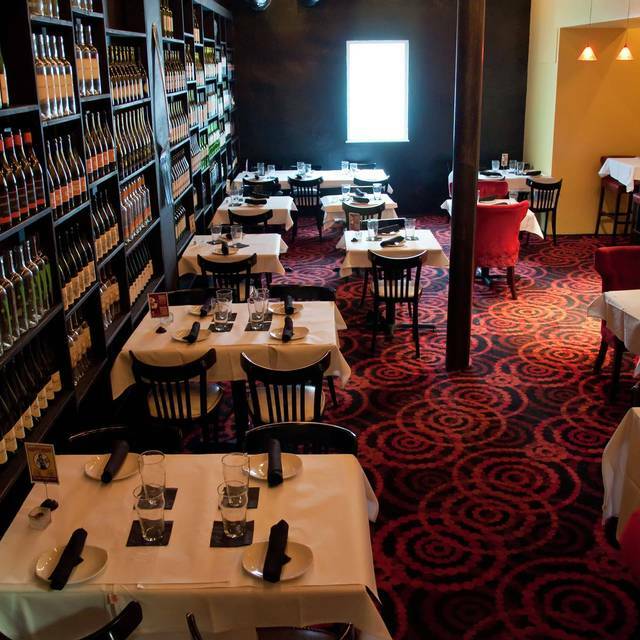 I love eating and drinking at Cheesetique; the staff are always very friendly and the food is terrific. Cozy neighborhood spot. 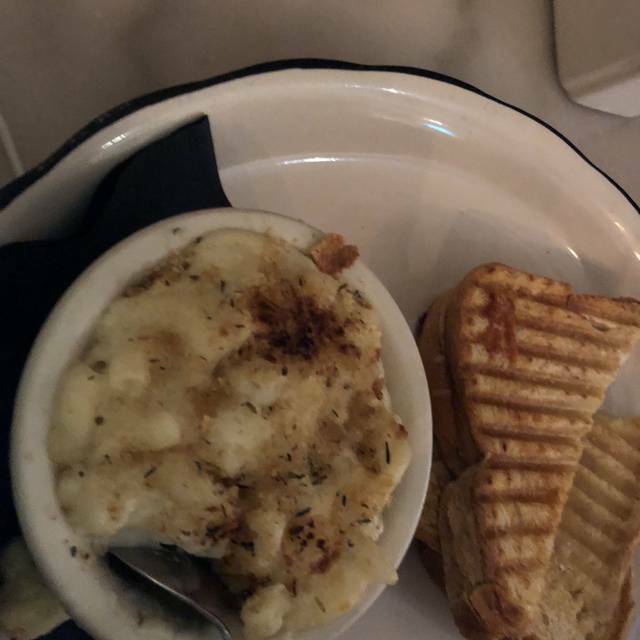 My friend and I each had the Rye cocktail and thought it was delicious and well made. Warm olive appetizer was too much for 2 people but quite good. 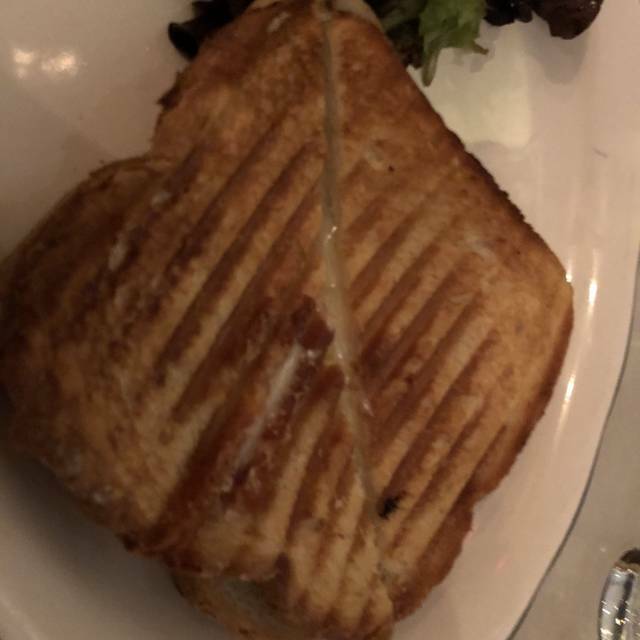 My grilled goat cheese sandwich was tasty but I was too full to finish it. 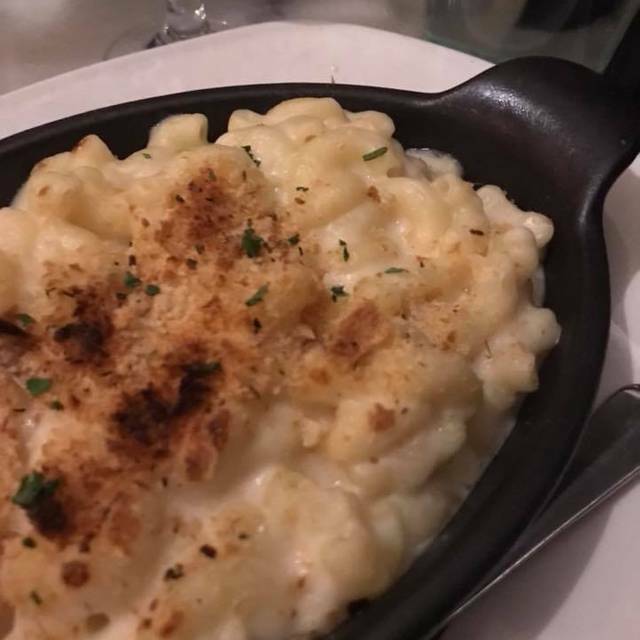 Our server was fantastic; she kept an eye on our cocktails and timed our dinner to arrive after we were finished. 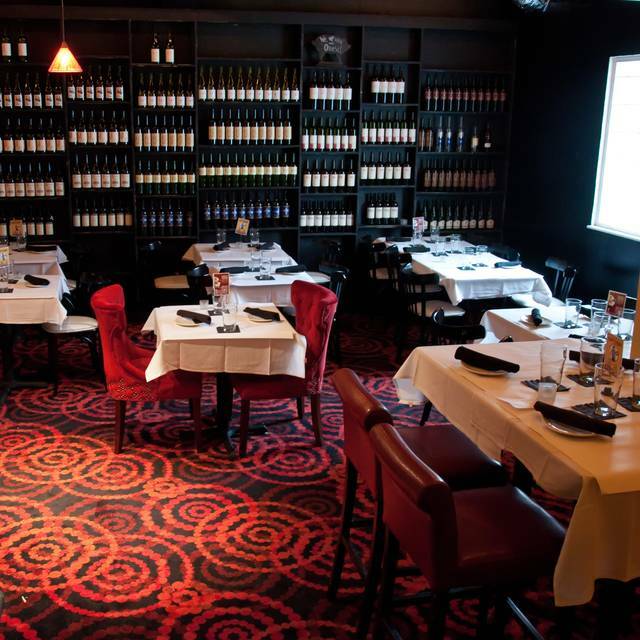 This is a great place if you don't want to spend the $$ at Evening Star but want a nice meal.